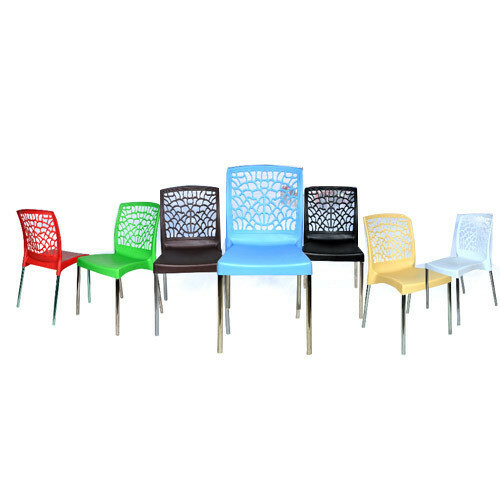 Aimed at prospering growth in our domain, we are instrumental in offering an excellent quality Cafe PVC Chair. We, "Diya Seating Solutions", offer a wide range of plastic products including Chair Handles, Chair Back Seats, Plastic Chair, plastic stool and Office Mesh Chair, etc. Our products are manufactured using high quality plastic procured from leading firms from all corners of India. We have our production set up and team of expert facilitating us the customized production as per the clients requirements. We are helping our customers to improve their process efficiency, environmental performance, lower operating cost and increasing yield. Our major export market areas are East Europe, North Europe, East Asia, Middle East, South East Asia, Indian Subcontinent, South/West Africa, North Africa and America.